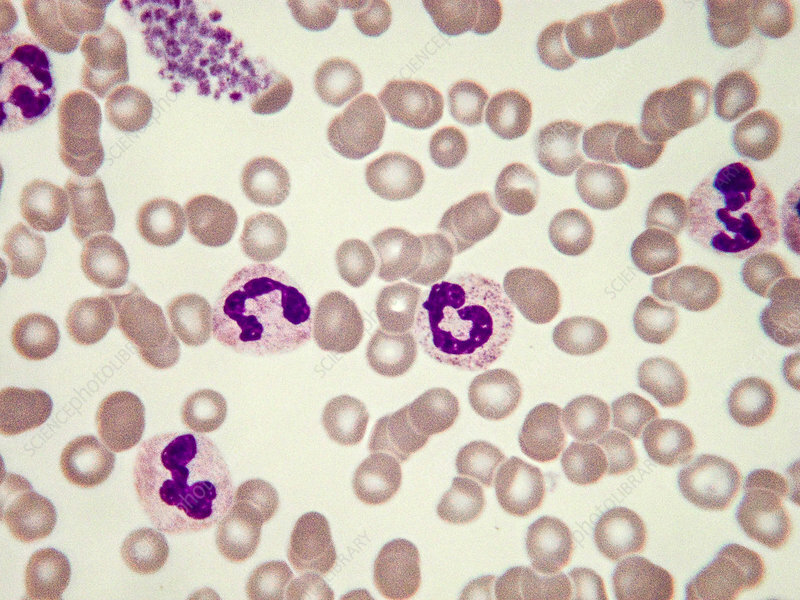 Any cell of the leukocytic series that has a nucleus that could be described as a curved or coiled band, no matter how marked the indentation is, if it does not completely segment the nucleus into lobes by a filament, is called a band cell. Light micrograph, Wright-Giemsa stain. Magnification: 100x.